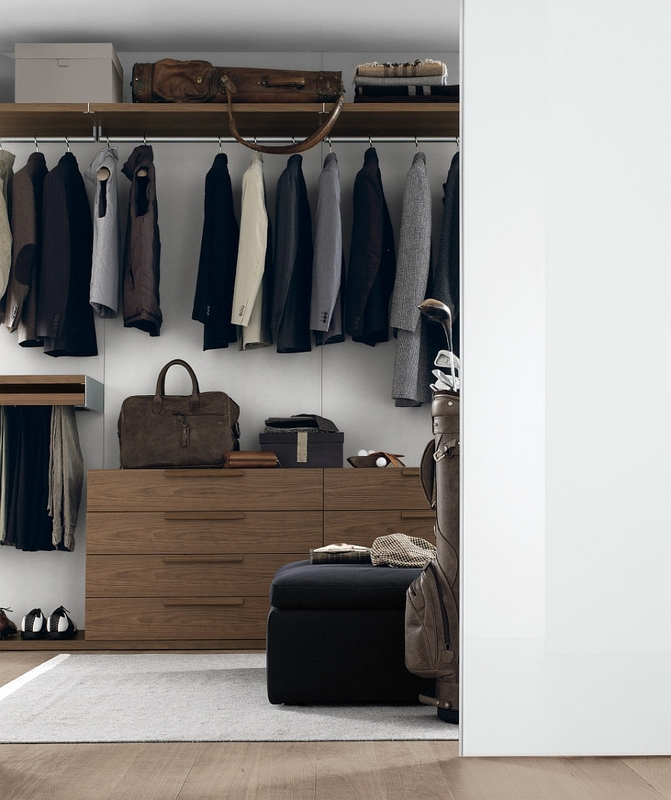 It perfectly fits for special clothing combinations or clothing groups in accordance with colour. 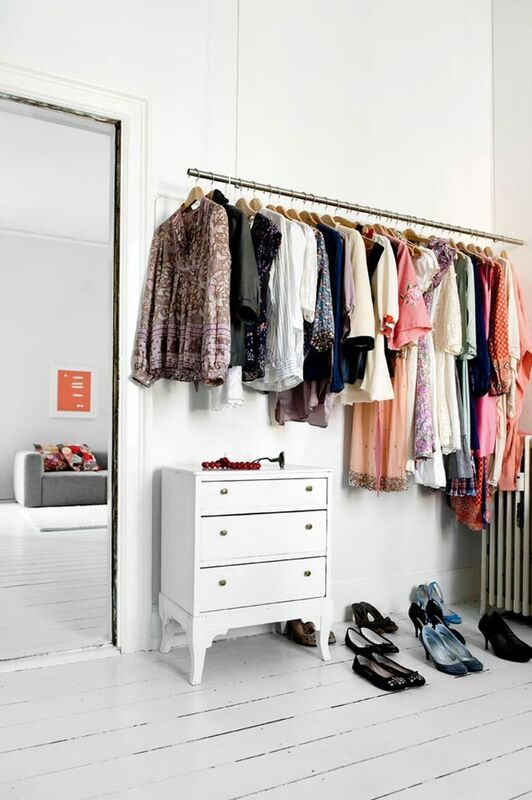 Open wardrobe as a space to keep clothing isn’t very functional, however, it perfectly fits for special clothing combinations or clothing groups in accordance with colour. 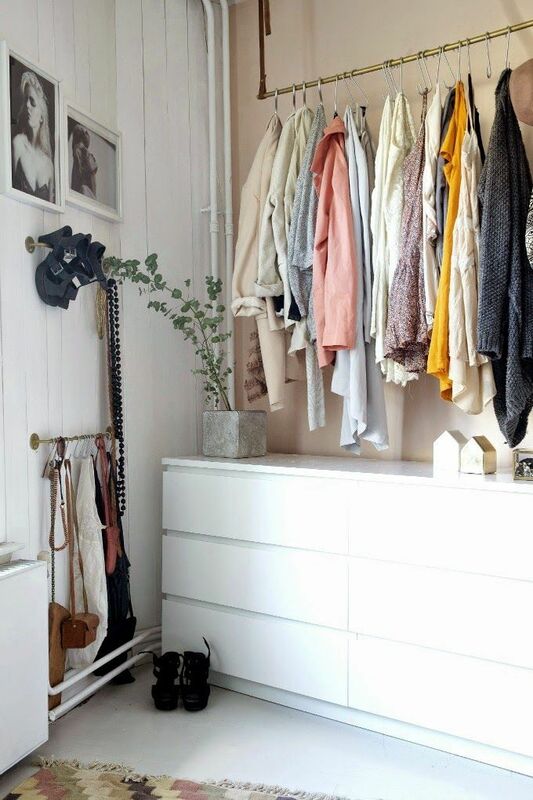 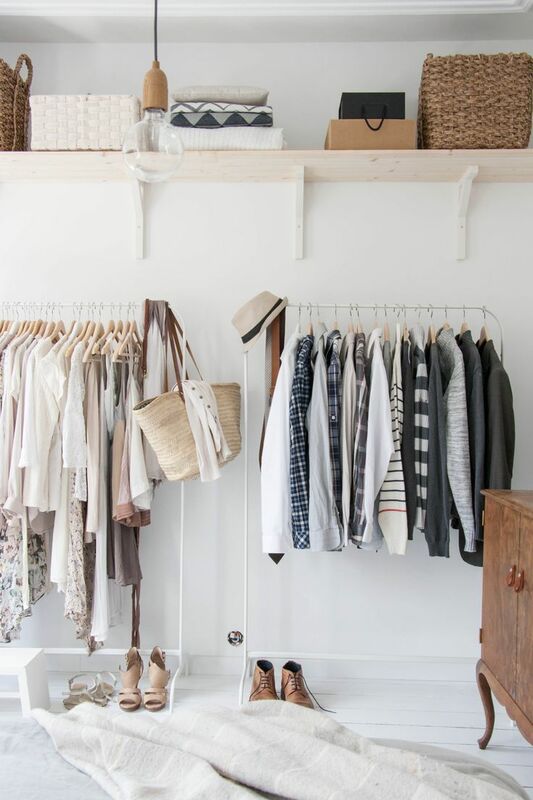 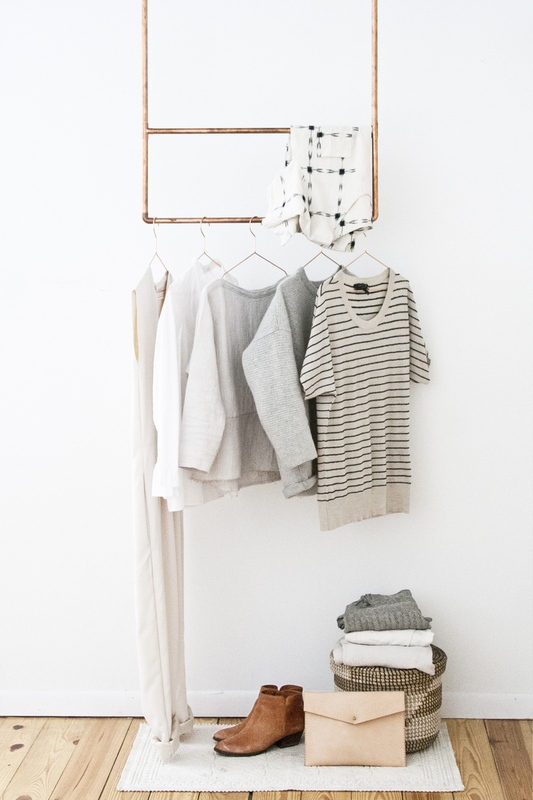 A small corner of stylishly hanged clothing, shoes and accessories put together immediately creates a romantic and soft mood and for Scandinavian style lovers such a solution is as common as clothing closet for us. 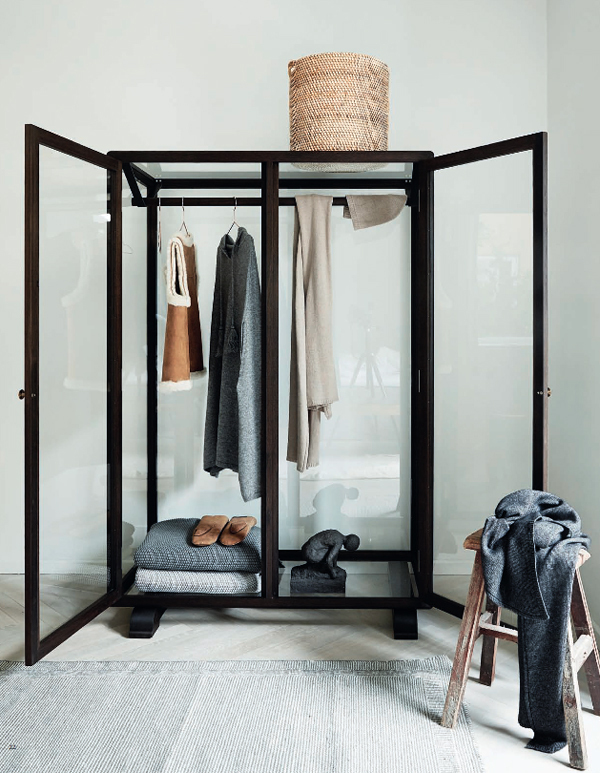 So that not only clothing but also clothing closet was stylish you can use the motives of black frames and glass that are popular for the time being. 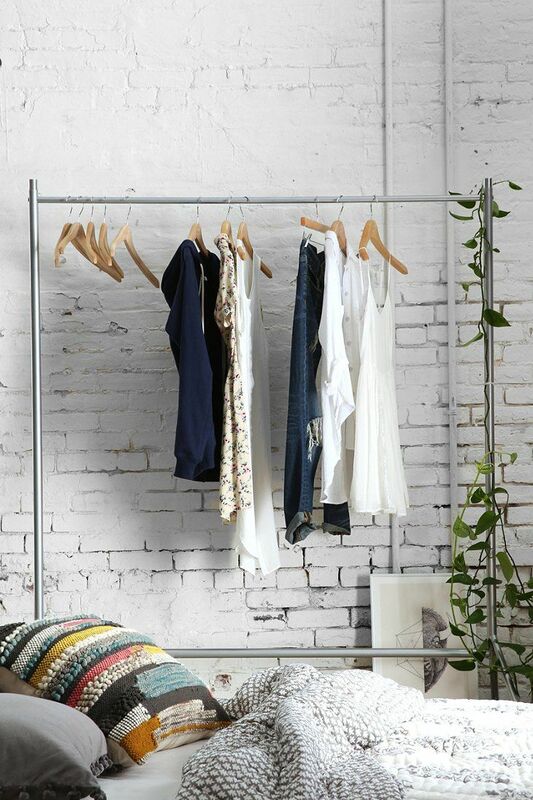 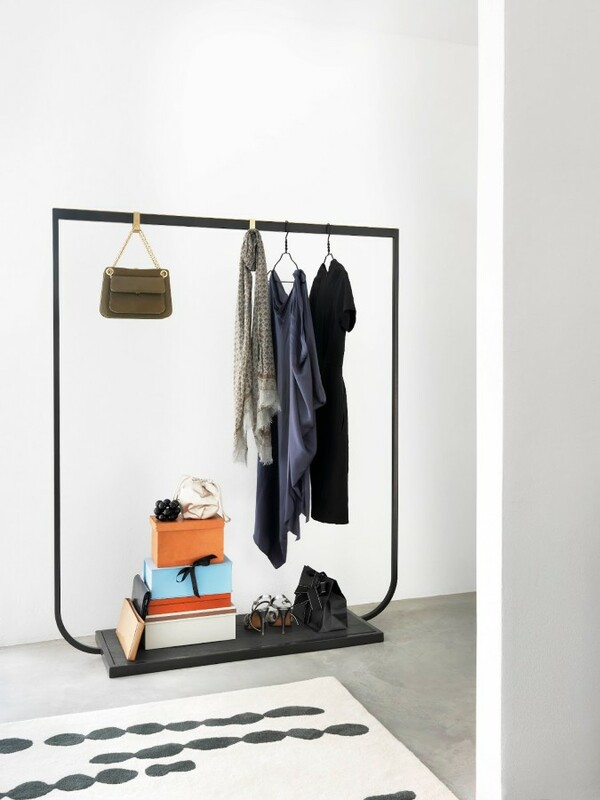 Metal rods look no less than stylish and they are dropped from the ceiling, also metal cloth racks which can be used either at home or for stylists. 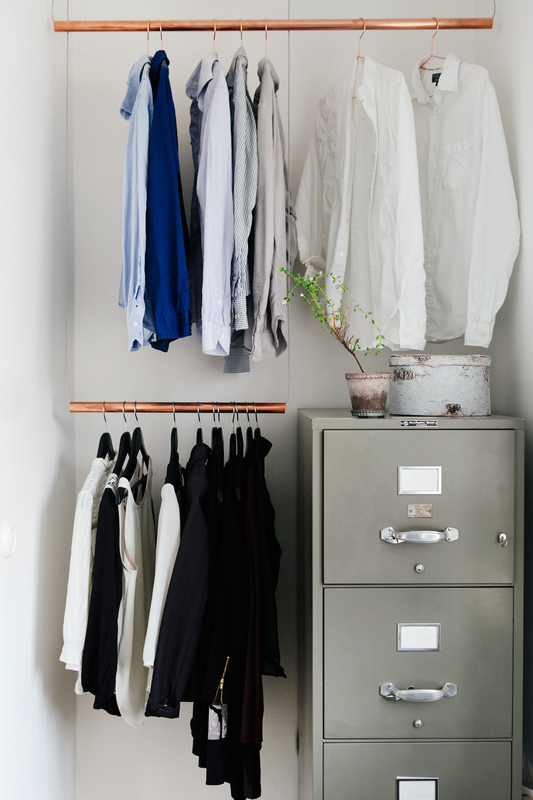 It’s possible to match and several chests of drawers, drawers or a block of drawers, there’s never too much space for clothing. 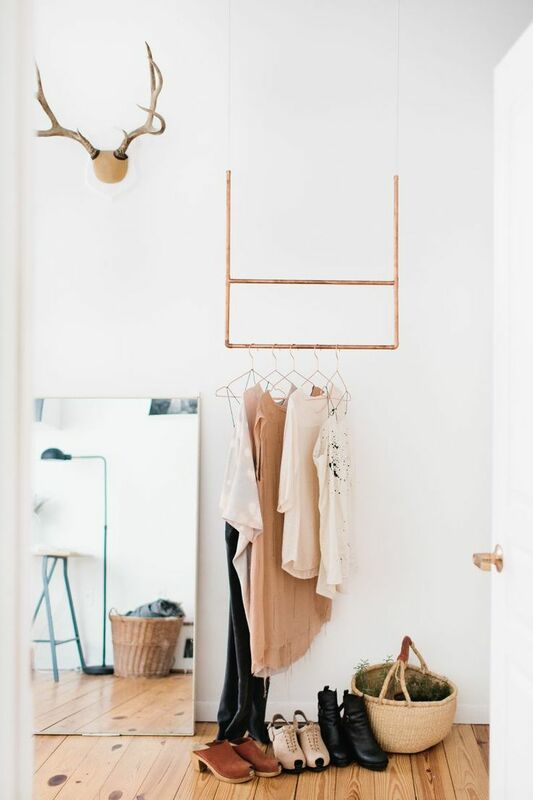 In this picture I’ve noticed a very nice way to keep shoes: a hook that is next to a wall nicely demonstrates high-heels, however, one must have in mind that a wall must be resistant to filth or shoes must be perfectly clean. 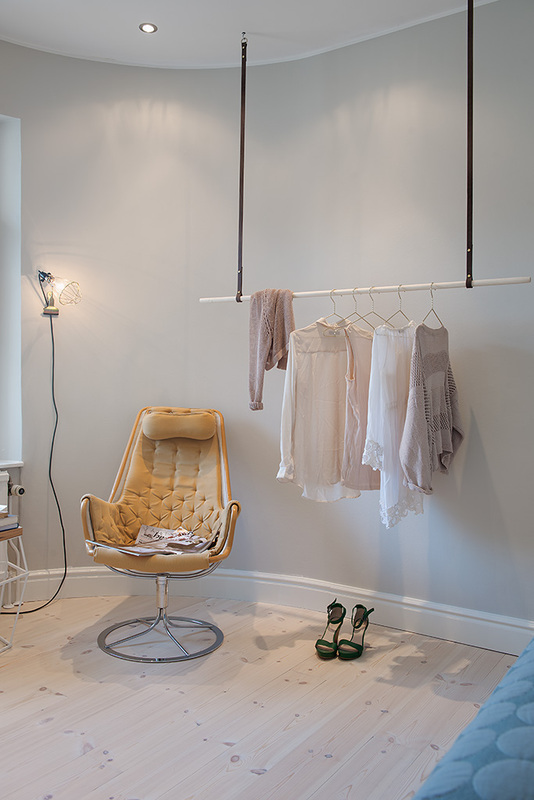 It’s also visible that clothing is hang not on suspensions but on hooks, therefore, this version would be okay for such clothing which does not have to keep its shape. 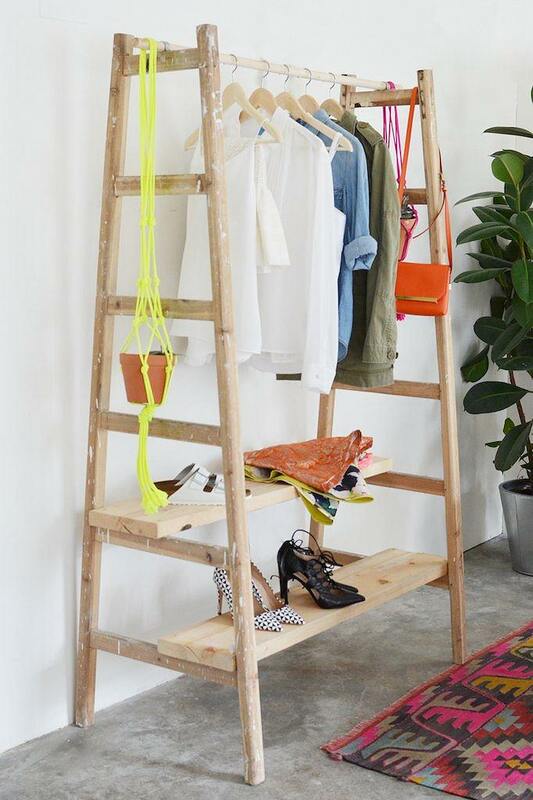 One more of a lot of ideas in the Internet reaches how to use ladder. 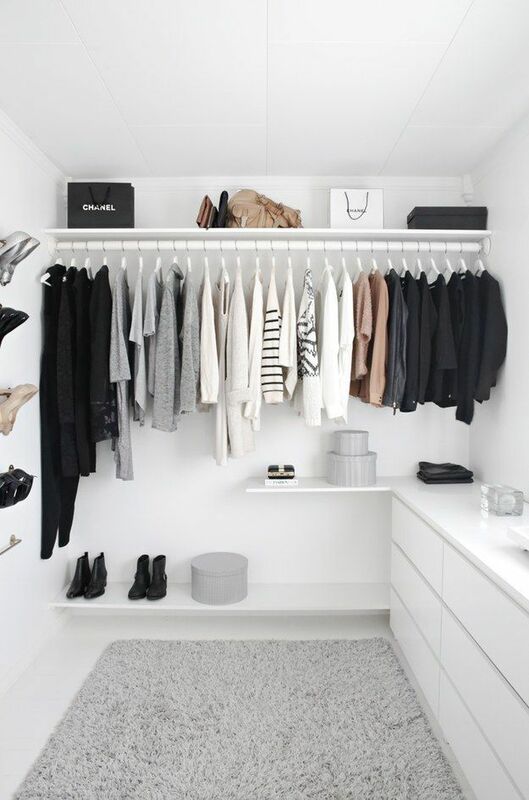 And for the end – several the most beautiful photos of open closet.